Like most towns, Keswick can have parking problems. No need to worry at the Crow Park Hotel, We have our own private off-street car park for up to 25 cars. It's clean tarmac surface is well lit at night and it boasts one of the best views of Latrigg from any car park in Keswick! 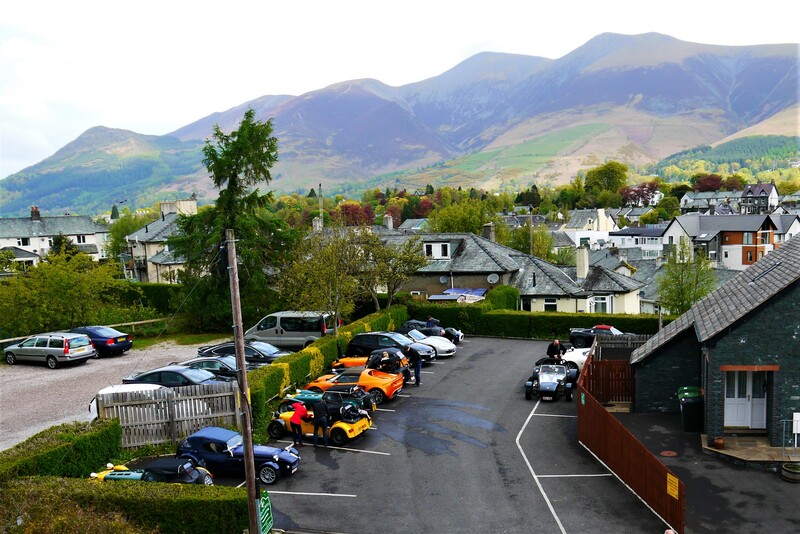 After recent increases in Allerdale Council Car Parks fees, visitors will now pay up to £19.00 to park their car for a one night stay in Keswick! However, guests staying at the Crow Park Hotel may use our car park on the day of arrival, the duration of their stay and in to the afternoon on the day of departure for just £3 per 24 hours! Through the year our car park is very sought after, we receive visits from the North West MX-5 group and also the Belgium Caterham7 Club!